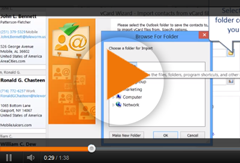 Import contacts to iPhone and other source, such as: Android (Google, Gmail), Microsoft Outlook or a vCard file. vCard Wizard Contacts Converter Pro Edition is the easiest way to import Android Contacts to iCloud. 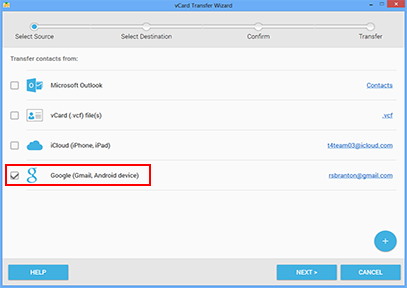 Just enable iCloud on your iPhone and use vCard Wizard to import contacts from Android in a few clicks. Launch the Settings app on your iPhone, tap on iCloud, Sign in and turn on Contacts in the list of iCloud services. In just a few seconds, the contacts you have imported will appear in your iCloud Contacts and connected iPhone/iPad devices.